By Rean in Web Design. Updated on May 8, 2018 . Although the big players in web design industry have been adopting HTML5 in recent years, there are not really many others using it in practical solution, mostly due to the lack of time or understanding. Chances are if a language is being promoted for certain time, there will be enthusiasts going into the troubles of eliminating your troubles by creating HTML5 template generators and frameworks. At Hongkiat, we always want to make your development work as easy as possible, so below is the list of HTML5 template generators and frameworks that either speed up your HTML5 development, or helps you ease troubling issues like browser compatibility. By the end of the day, your HTML5 development will only get easier and happier with these generators and frameworks! Although it might takes some time to actually learn the framework, if you have the framework at ready all you need to add is the content and slight modifications according to your taste. Also don’t get worry about it, the world won’t look at you disdainfully for using an HTML5 template generator or a ready-to-use framework. Practicality comes first! Besides, frameworks that are out there for using usually have loyal followings and support. An advantage to using frameworks is you really don’t have to worry about serious issues like cross-browser and cross-platform compatibility, somebody else has already brooded over that for you. But, of course, you can contribute to their cause, especially for open-source libraries and frameworks. After all, it’s always good to have an extra gear in your design toolbox! 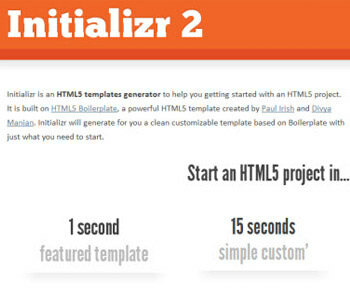 Initializr is also built on HTML5BoilerPlate, another great tool to expand your HTML5 grasp, add functionalities, and improve your whole site. 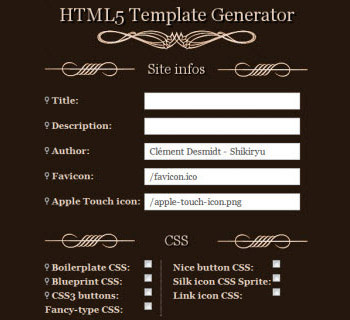 An alternative is Shikiryu.com’s HTML5 template generator. It has an additional option to include description for the website’s author, also includes options for Favicon and Apple Touch icon in case you want them to be automatically inserted into the template. 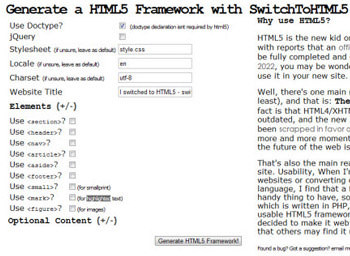 Another great HTML5 framework generator is SwitchToHTML5. 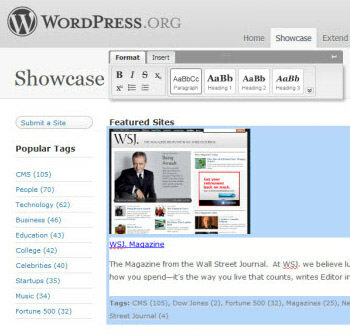 Like others, it allows you to add several elements such as <section>, <mark>, <figure>, <nav>, and others. SwithToHTML5 also gives you the option whether you’d want to support Internet Explorer or not, as its version earlier than IE9 does not support HTML5 natively. Say, I can’t be the only one who hates creating forms, right? 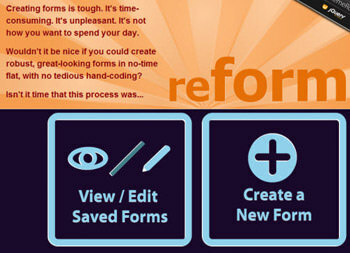 Creating forms is a tedious task, at least for people like me, that’s why reformed was here to help people to create clean and functioning forms! reformed is an HTML5 form builder that is very lightweight and won’t cause you too much trouble, like if you do the form from scratch. There are two versions, a web application and a standalone desktop application, although you’ll have to pay to have it work offline. Well, if you like the application, show some love! 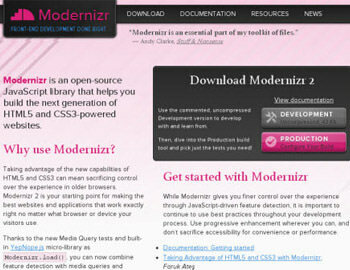 Older browsers are not the issues with Modernizr, visitors will see what they ought to see no matter what version their browser is. Technically not a generator, but a downloadable framework which expedites the development process. 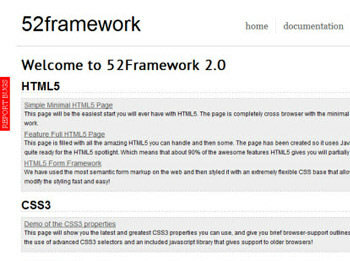 52framework eliminates the hassles of HTML5 and lays out everything right in front of you, making development faster and easier. 52framework supports a large variety of browsers, making cross-browser compatibility a less issue. And the good news for developers? It even supports IE6 partially! Since we’re already talking about services and applications that expedites development, here’s an amazing tool to help you edit your site content with xHTML5 compliant content. 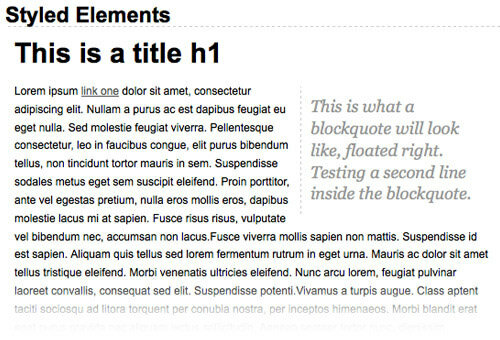 Aloha Editor is an HTML5 editor, not just any editor, but a WYSIWYG editor that can modify your site content instantly, as soon as you make the changes in the editor. 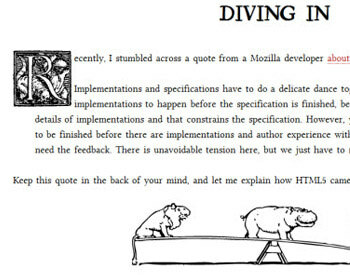 Every dreamt of converting Flash animations to HTML5? 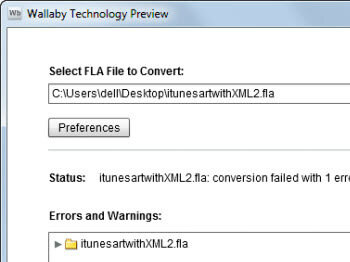 Wallaby, a project by Adobe, makes the conversion of Flash animations and artworks to HTML5 possible, rendering the files editable on Dreamweaver or other editors. A great and enjoyable book to start learning about HTML5 in a creative way of thinking, this is also a good resource that gives a fresh idea for people who already know the workings of HTML5. An original W3C’s guide to HTML5, with focus on simplicity and practical applications for beginners, while providing detailed information for advanced web developers. For now, there isn’t much to see actually. There are still, relatively, few tools for HTML5 framework and templates to use, as you may have noticed if you checked the links, most of the features for each generator/framework are similar. I may have missed tools that you are using to develop awesome HTML5 websites, so if you’d like to share feel free to post them in the comments! 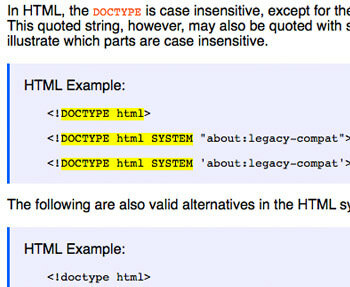 Also, do check out our posts if you are willing to get more about HTML5!